Your Total RV Seal Solutions Provider. 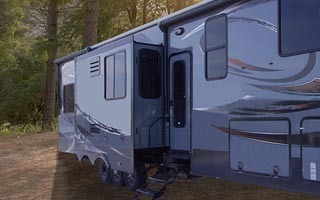 Boyd Corporation’s experienced, specialized and innovative RV sales and engineering teams are the world’s foremost experts in RV slide out seal technology. We’ve been designing RV slide out seals and complementary RV slide-out parts since the late 1990’s. You may know them as Boyd RV slide out seals, EK Seal or the seal that keeps water out of your slide out. Our RV seal technology is patented with a quality level that cannot be duplicated. Building on nearly two decades of experience in weather sealing for slide-outs, we’re now focused on not only bringing the highest performance RV slide out seal systems to market, but taking our customer commitment to the next level. We are actively finding ways to improve our component design or incorporate multiple parts into one cohesive deliverable. We help you reduce assembly times, inventory complexities and offer lightweight profiles that translate into reduced costs and enhanced innovation potential.